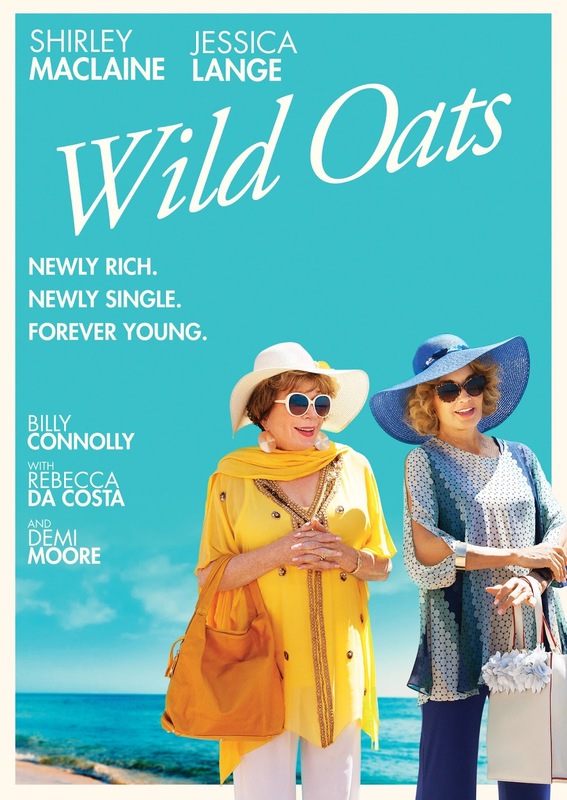 Anchor Bay Entertainment recently send us information for the upcoming DVD release of "Wild Oats". The film stars Academy Award® winner Shirley MacLaine (The Secret Life of Walter Mitty, In Her Shoes, Terms of Endearment), Academy Award winner Jessica Lange (“American Horror Story,” Grey Gardens, Tootsie), Billy Connelly (Brave, The Hobbit: The Battle of Five Armies, Gulliver’s Travels), and Demi Moore (Forsaken, Charlie’s Angels: Full Throttle). No special features were announced for this release. "Wild Oats" hits retail on October 4th. Acclaimed director Andy Tennant’s (Hitch, Sweet Home Alabama) refreshing and hilarious comedy Wild Oats arrives on DVD on October 4, 2016 from Anchor Bay Entertainment and on Digital HD and On Demand. 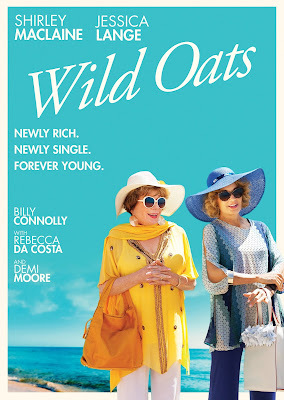 The film is set in the golden years of life and features Academy Award® winner Shirley MacLaine (The Secret Life of Walter Mitty, In Her Shoes, Terms of Endearment), Academy Award winner Jessica Lange (“American Horror Story,” Grey Gardens, Tootsie), Billy Connelly (Brave, The Hobbit: The Battle of Five Armies, Gulliver’s Travels), and Demi Moore (Forsaken, Charlie’s Angels: Full Throttle). Eva (MacLaine), a widow and retired history teacher, enjoys a quiet life. Everything changes when she receives a life insurance check accidentally made out for $5,000,000 instead of the expected $50,000. At the not-so-gentle urging her best friend Maddie (Lange), Eva deposits the money and the two friends head to the Canary Islands with every intention of living it up. But their fantasy is short-lived when they discover that they have become media sensations overnight. Fugitives from justice, the two are forced to outwit a trio of conmen, led by the local Wine “warlord”, Carlos (Santiago Segura), outmaneuver a dogged life insurance agent Vespucci (Howard Hesseman) who has teamed up with Eva’s daughter, Crystal (Moore), and outrun the law. What they don’t expect is to be good at it. Wild Oats will be available on DVD from Anchor Bay Entertainment on October 4, 2016 for the suggested retail price of $19.98.